Get ready to mow over your fantasy opponents like a blitzing linebacker and dominate your fantasy football league. The Blitzed Podcast is like no other. 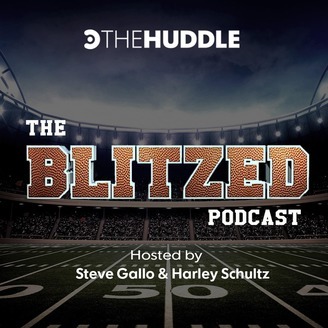 Hosts Steve Gallo and Harley Schulz have a simple goal, cover both sides of the ball and deliver the best fantasy football and DFS advice heard anywhere online. Give it a listen, and get Blitzed responsibly. EP105: B.P.N. NFL News, an early look at next year's top 12 WRs and TEs, and DFS pay to plays, stay-aways and value plays. In this episode, Steve and Harley bring you B.P.N. NFL News, a very early glimpse at what the top 12 WRs and TEs will look like come draft time next summer, and DFS pay to plays, stay aways and value plays. 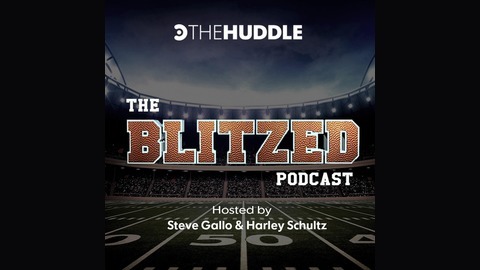 Huddle up, tune in and get Blitzed!